Though I finished drafts of a play titled “Aztlan Apeiron”, I’ve never really settled into it and thus have never produced it. One of the reasons is its about fathers and sons. There’s everything and nothing to say about such a subject. 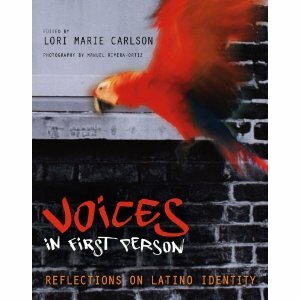 Though I hate using Latino characters in white stereotypes, i.e., the gangsta monologue included in this book, when Lori asked if I’d write something for the book I realized I grew up with friends who became the very stereotypes I thought I didn’t know. Read more or buy the book here. This entry was posted on Sunday, June 6th, 2010 at 7:46 am	and is filed under Poetry. You can follow any responses to this entry through the RSS 2.0 feed.